There is a Korean brand retailing at Watsons called Clio Professional. 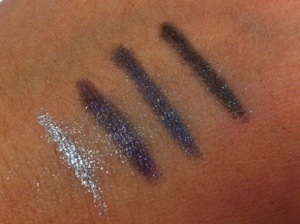 They are supposedly known for their Gel automatic pencil liners. It’s a gel formula but instead of using a brush and a gel pot, it has been packaged in a pencil form for convenience. Each pencil comes with a sharpener which you can pull out from the end of the pencil. 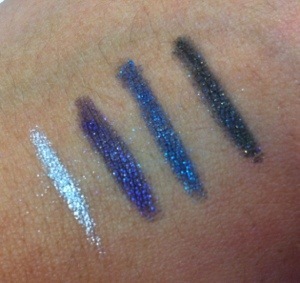 I personally don’t use this as my eyeliner application do not require a super fine tip. 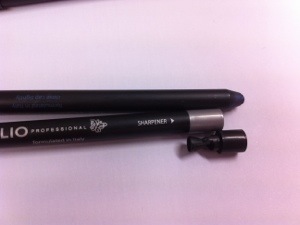 The sharpener is also to sharpen the liner “lead” itself. Not the entire pencil since it is automatic. 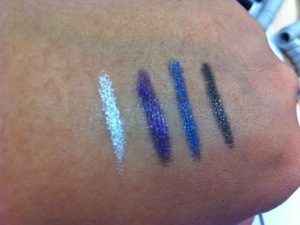 This means that you only have to turn the top of the pencil for new liner to retract out. 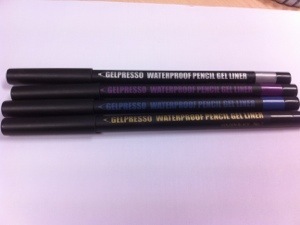 ** Unlike Mac’s brow pencils, Gelpresso allows you to turn clockwise for new liner and also to anti clockwise to retract back into the pencil. – nice to use it on its own or as a base. I prefer this colour for my lower line as it is not as harsh as black yet there is definition. – pretty for neutral looks that need some definition to the eyelash. – stays on for very long. 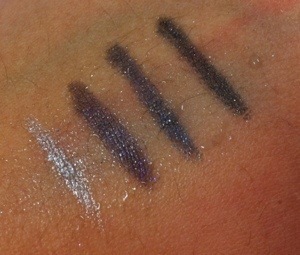 Suitable for oily or hooded eyelids where regular eyeliners smear easily. 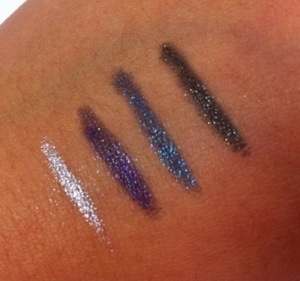 – some glitter may fall out during application so apply some loose powder to catch fall out. I rubbed my skin hard and only the glitter came off a little. The base colour did not budge. After putting water and rubbing, extremely minimal smudging occurred.